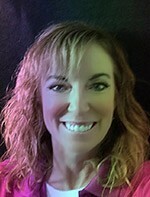 Vicki earned her Associate’s Degree in dental hygiene in 1993. She performs patient cleanings two days a week, and as practice coordinator she performs consultations, makes financial arrangements, and manages the business end of the office. She loves that we can provide comprehensive care in our practice, without having to refer patients out for various procedures. Watching patients’ oral health and self-esteem improve makes her career rewarding. Vicki enjoys watching her son play sports, vacations, shopping and visiting her daughter in College. Theresa earned her Associate’s Degree in Dental Hygiene in 1994 from Oakland Community College in Michigan. Her continuing education credits include cosmetic dentistry, periodontal disease, and the care and maintenance of dental implants. 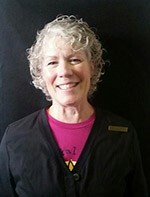 Patients love her enthusiasm, flexibility, and her great sense of humor. Theresa and her husband, moved to the Indianapolis area in July of 2006. Theresa is a sports enthusiast who loves the Detroit Lions, Red Wings, and Tigers. She also enjoys spending time with her 2 grown daughters when they come home. Marilyn joined our practice in January 2015 as Dr. Rothenberger's primary dental assistant. 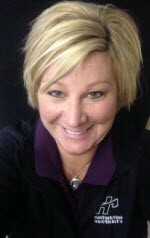 She comes to our office from Michigan with more than 20 years experience in dental assisting. She earned her Dental Assisting degree from Northwestern Michigan College in Traverse City Michigan in 2003. Her most recent credential is a Fellowship in the American Dental Assisting Association and she is currently pursuing her Mastership as well as her Expanded Duties Certification. She finds the time spent with colleagues and patients very rewarding. In her spare time she enjoys family get togethers and outdoor activities. Sandy earned her certification in Dental Assisting in 2015 from Ivy Tech in Lafayette, Indiana. Sandy moved to Indiana from Mexico at the age of 6. She is looking forward to a career in the dental field. 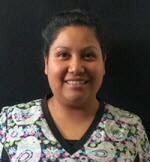 She enjoys making her patients comfortable and helping to translate for our Spanish speaking patients so they may better understand their dental needs. She works as an assistant with Dr. Rothenberger chairside two days a week and works as an assistant with the hygiene team 2 days a week. During her time away from the practice she enjoys being with her husband and their son DJ.